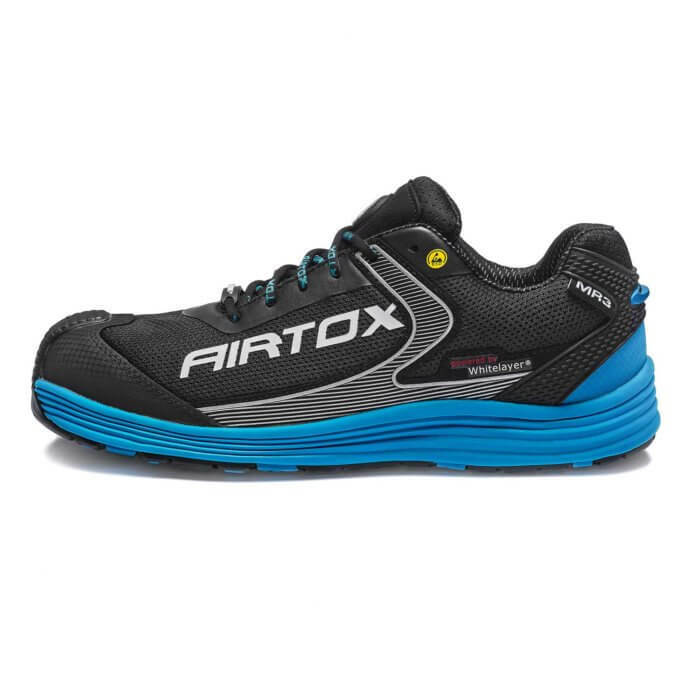 AIRTOX MR3 safety shoes are a part of the AIRTOX M-series; one of the most advanced safety shoe lines on the market. This style will keep you feeling fresh, light and comfortable whatever you’re doing and wherever you are. An extremely breathable POWERBREEZE® upper. This micro-fabric provides extraordinary ventilation and breathability to allow your feet to stay dry and comfortable at all times. 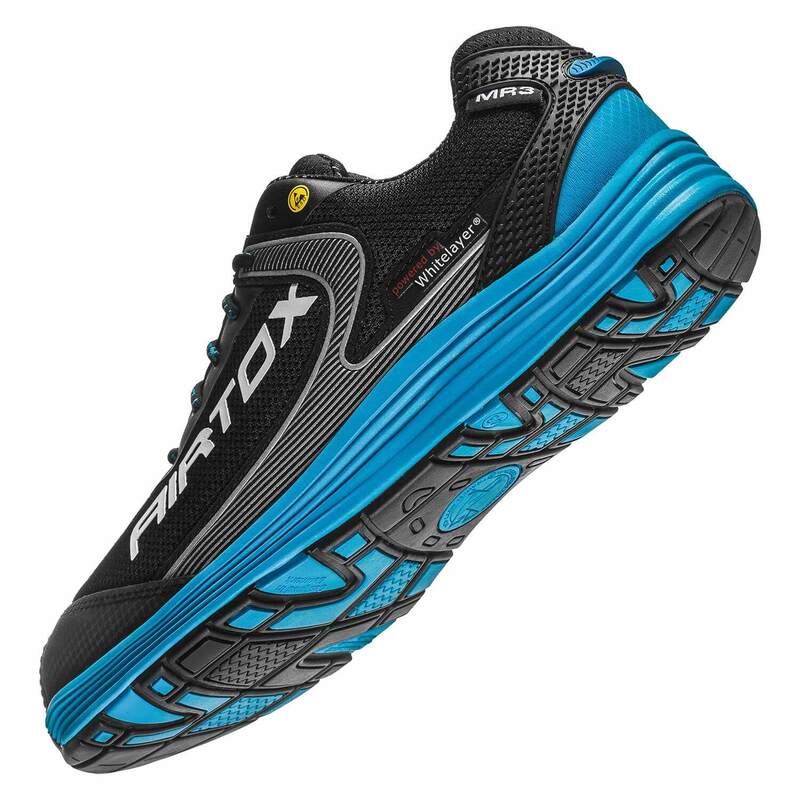 The same midsole material used in many popular trainers and running shoes, EVA. EVA is a shock-absorbent and lightweight material ensuring the level of comfort desired in even the best trainers. A Cool&Me® insole that stays shock- and moisture absorbent even after many hours of work. How high is the level of protection for your feet achieved? 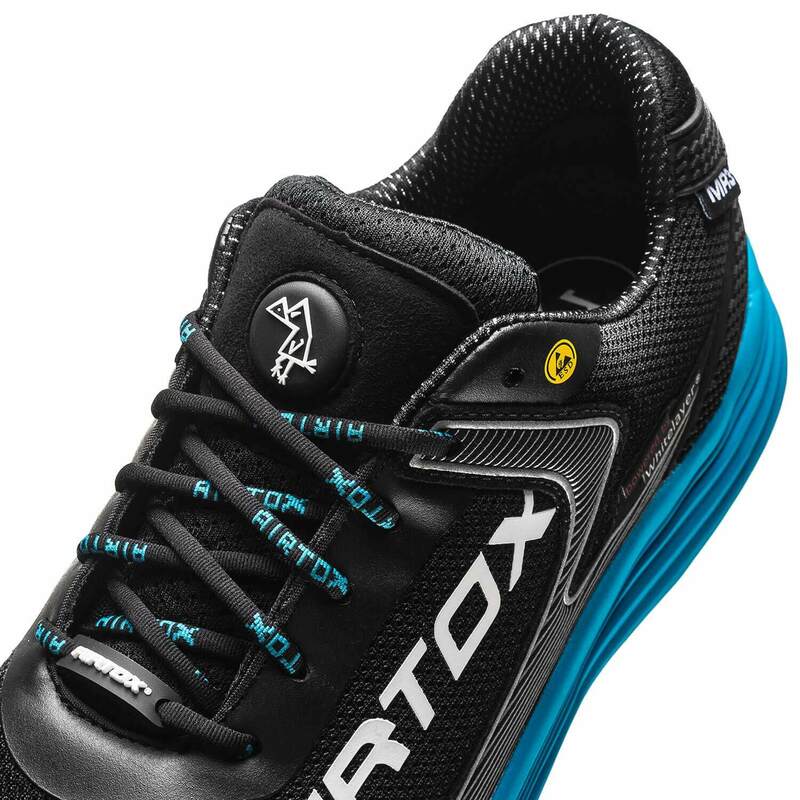 The AIRTOX MR3 safety shoes feature the new and unique WHITELAYER® anti-penetration. This material is lighter, more flexible and stronger than any competing material and will keep your feet safe from nails and other sharp objects. An aluminum toe-cap protects your feet from heavy objects and potential dangers while making no compromises in terms of weight and comfort. 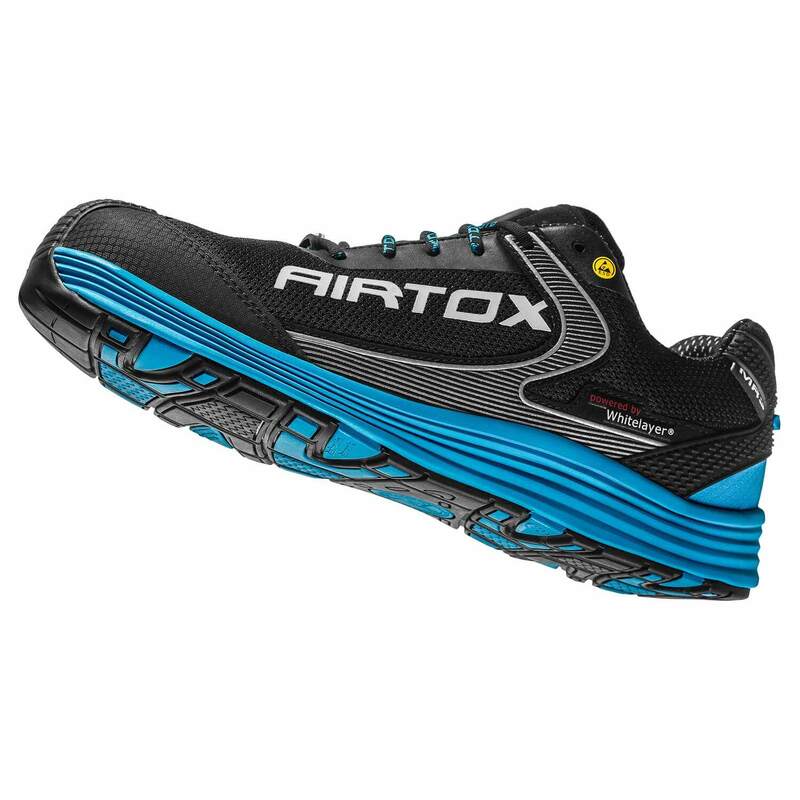 A thin layer of NRT rubber gives the AIRTOX MR3 safety shoes anti-slip features while ensuring acid-, fuel- and heat-resistance (300o C). 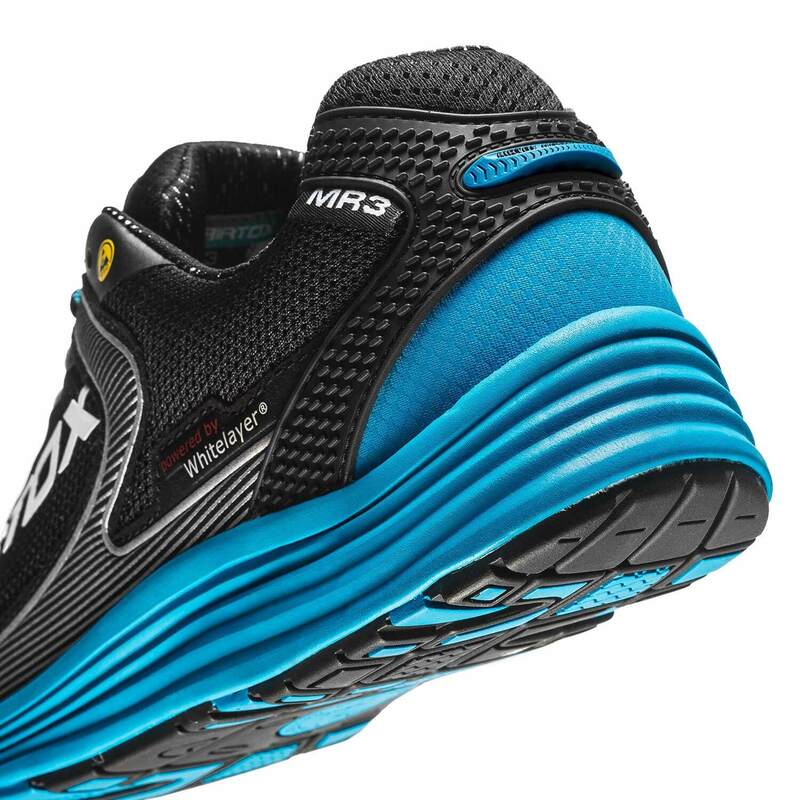 To ensure you gain the most from your MR3 safety shoes, always remember to wear the right pair of socks. We recommend thin wool socks or technical anti-moisture socks, typically made for hiking, running and sports. Wearing normal socks made from cotton is a common mistake as these retain additional moisture produced by the feet, leaving you with damp and uncomfortable feet. Finally, you can feel comfortable, in style and safety all day. Heavy, cumbersome, unflattering and uncomfortable safety shoes that can potentially harm your body belong in the past. Welcome to the new generation of great looking and insanely comfortable work footwear! Welcome to AIRTOX. Available in one color version: blue, black & white (for a different color combination see MR2). Construction, landscaping, manufacturing, warehousing, postal services and other areas of work that require safety footwear.